Discover ten stunning reasons to visit southern Italy’s Campania region! 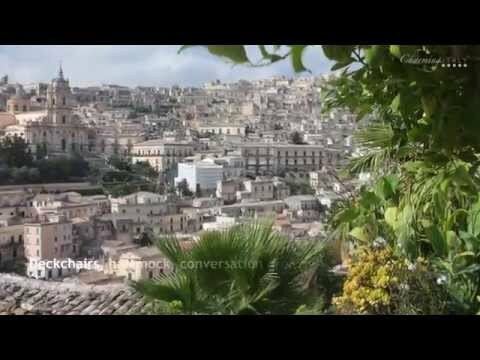 Ten reasons to visit Campania! While Rome boasts the Colosseum and Venice the Doge’s Palace, the region of Campania is home to a stunning selection of architectural splendors, dating from ancient Greek times to impressive Christian cathedrals and monasteries. 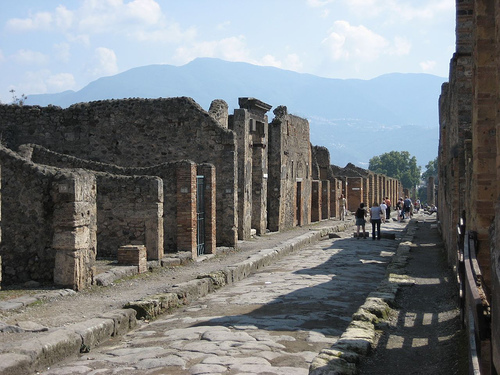 Historic sights, such as Pompeii, attract visitors from throughout the world. However, this is just the beginning of what there is to discover in Campania! 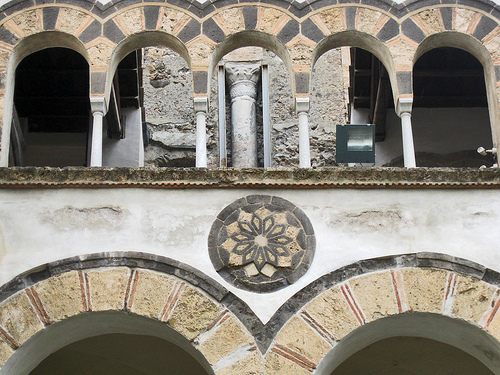 Here is a photo tour through ten of its architectural gems - ten good reasons to visit Campania. 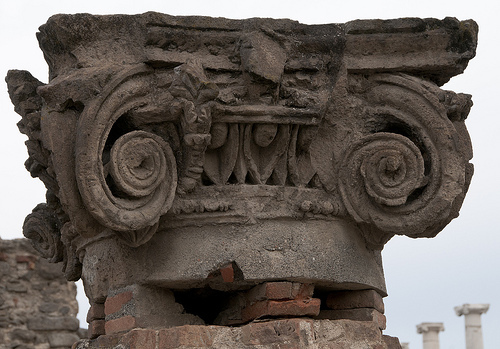 The ancient Roman town of Pompeii was destroyed in 79 AD by a massive eruption of Mt. Vesuvius, which looms above the archaeological ruins. Walking along the cobbled streets and exploring the buildings, homes and temples offers a rare glimpse into life in ancient Rome. 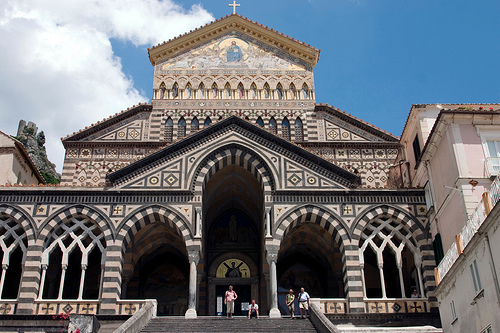 Known as the Duomo of Amalfi, this cathedral is dedicated to Sant’Andrea (St. Andrew) and is one of the most stunning churches in southern Italy. Enjoy visiting the 13th-century Cloister of Paradise, Cathedral Museum, crypt of Sant’Andrea and the beautifully preserver Baroque interior. 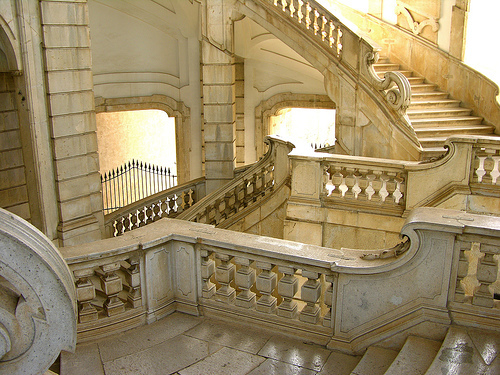 The second largest charterhouse in Italy after Parma, the Carthusian monastery dedicated to San Lorenzo in Padula boasts the largest cloister in the world and stunning spiral staircase in marble. 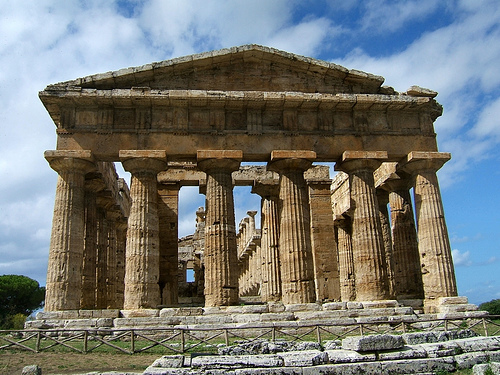 One of Campania’s most evocative spots, the ruins of the ancient Greek temples in Paestum are truly a splendid sight. Wander through the ancient town and enjoy seeing some of the best preserved Greek temples in the world, before stopping in for a visit at the excellent archaeological museum. Built in the early 18th century, the church of San Michele in the town of Anacapri high atop the famous island of Capri would simply be a pretty white Baroque style church if it wasn’t for one very special feature. 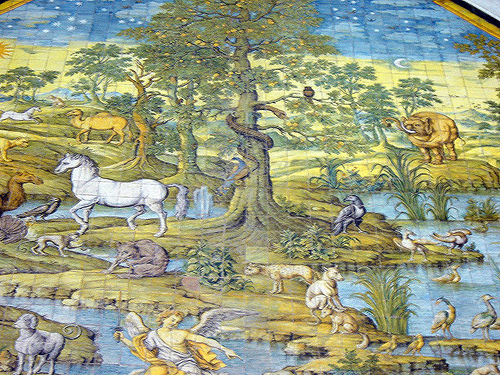 Step inside to discover the outstanding ceramic tile floor dating from 1761 depicting the expulsion of Adam and Eve from the Garden of Eden. 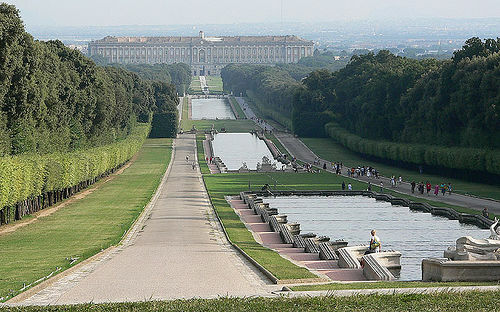 Built to rival the palace of Versailles in Fance, a visit to the Royal Palace and Gardens of Caserta outside Naples will make you feel like royalty for a day! 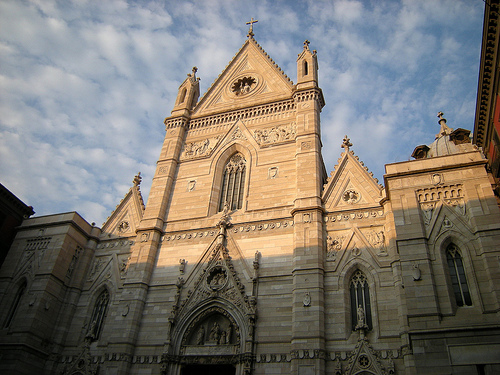 From its early Christian Baptistery to the Roman archaeological ruins beneath the church to the splendid chapel dedicated to the patron Saint San Gennaro, the Duomo of Naples offers a fascinated glimpse into this city’s many layers of history. Founded in the 14th century, enjoy a sweeping view of Naples from the beautiful Charterhouse of San Martino. 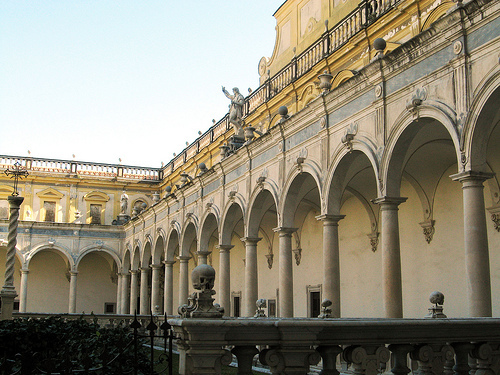 Now home to an excellent museum, stroll through the collections and around the Great Cloister designed by Cosimo Fanzago in the 17th century. 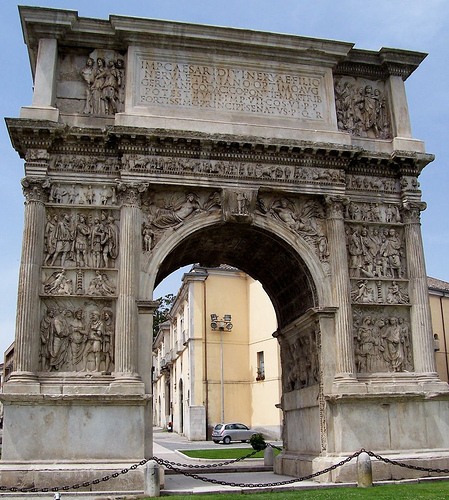 Many travelers to Italy don’t know that the best preserved Roman triumphal arch sits in the peaceful town of Benevento in eastern Campania. There you’ll find the stunning Arch of Trajan constructed from 114 to 117 AD to honor the Emperor Trajan. Dedicated to San Matteo (St. Matthew) and home to his relics, which are preserved in a stunning crypt below the church, the Duomo of Salerno is just one of the many reasons to visit this seaside city south of the Amalfi Coast. 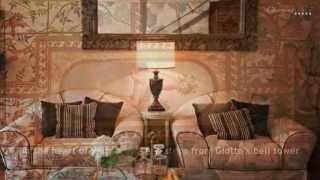 Di you enjoy the virtual tour through Campania architectural splendors? 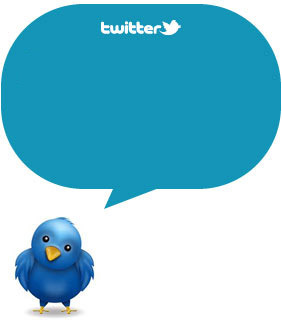 Do you have any suggestion for our list?